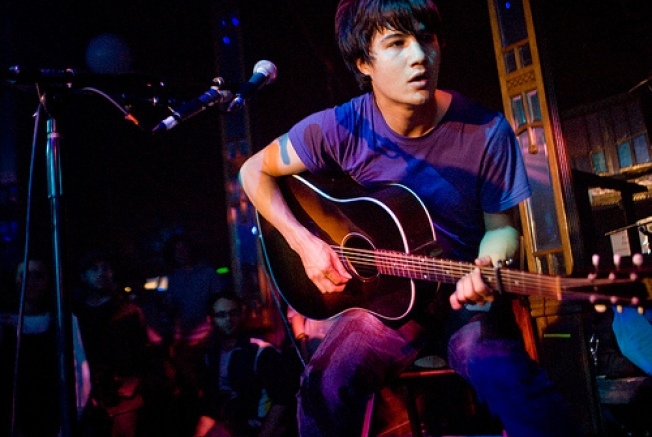 San Francisco indie band the Dodos headlines Noisette on August 4. Noise Pop, the 19-year-old annual music festival in San Francisco, has dabbled with involving food trucks and other vendors in its proceedings over the last few years. Now organizers are spinning off a dedicated music and food pairing event with Noisette, which takes place from noon to 5 p.m. on August 4 at San Francisco club Public Works. Bay Area musicians such as the Dodos, Craft Spells, Nanosaur, and Pillowfight (a new project from Gorillaz producer Dan The Automator) are set to perform, while local chefs from acclaimed restaurants such as Flour + Water, Commonwealth, and Bar Crudo cook up the food. Some of the planned dishes include a pork po'boy with pickled watermelon slaw, char siu chicken bao, seafood gumbo with andouille sausage, and a Korean fried chicken sandwich (peruse the entire menu here). It'll be up to you to decide which flavors go best with indie rock.